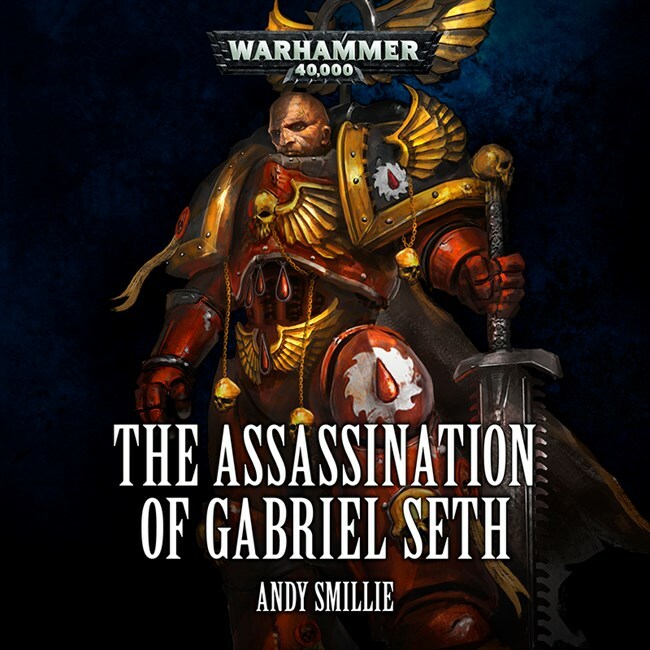 Today, the Black Library brings us an audio drama of a Chapter Master beset by enemies – can Gabriel Seth survive? If you’ve been waiting to get caught-up on your fill of Black Library back-stories and lore then now is the time of year to jump in. Running from December 1st until December 24th, Black Library will have something to read, listen to, or just check out for all things Games Workshop. You can grab them individually or pick up the whole thing as part of the Advent Calendar Subscription. Today’s story is an audio drama. In it Liam Neeson Gabriel Seth, Chapter Master of the Flesh Tearers is beset upon by “many enemies” which I assume means the whole thing starts with an “Almost Got ‘im” style meeting of Gabriel Seth’s very own Rogues Gallery that ends with an Eversor Assassin bursting in on the scene into what is surely a grimdark trap. Look, I just want everything to be Batman the Animated Series. Is that so wrong? At any rate, don’t miss the previous advent stories, which you’ll find linked below. 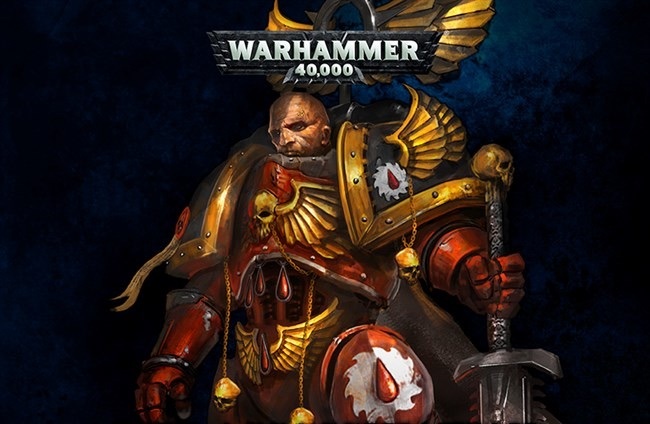 It’s a new Flesh Tearers tale from Andy Smillie, and brings his usual blend of poetic prose and frenetic action to a very personal battle that will define the Chapter going forward. 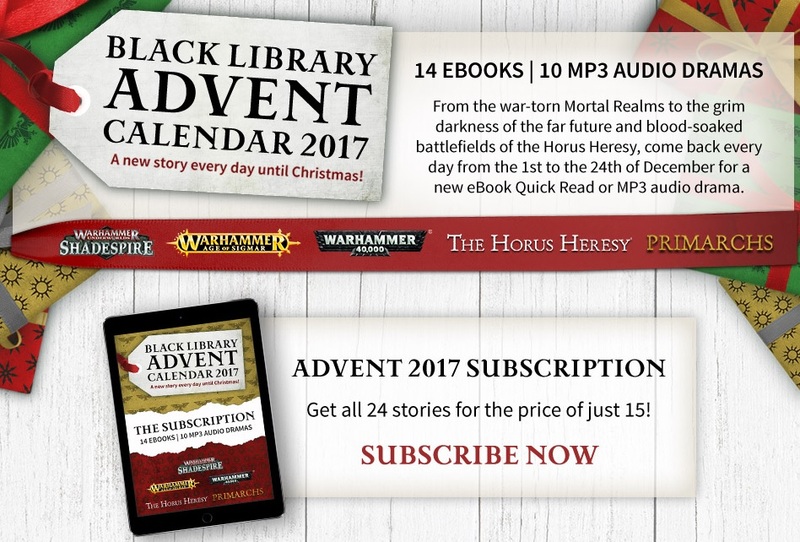 You can buy only the stories that interest you or you can pick-up the entire Black Library Advent 2017 Calendar Event as a single purchase. I’m just saying, Gabriel Seth sounds like the name of a character who would have a certain set of skills.